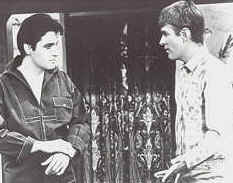 Then in 1966 he co-starred as Lt Tracy Richards with Elvis in Spinout and as Tom Wilson Clambake 1967 Spinout With three women (a spoiled rich girl, a man-hungry author, and his band’s drummer) out to snare him, race car driver/singer Elvis Presley sure has his hands full in this one! With Shelley Fabares, Diane McBain, Will Hutchins, Carl Betz. Clambake Hey, Elvis, toss another clam in the pot! 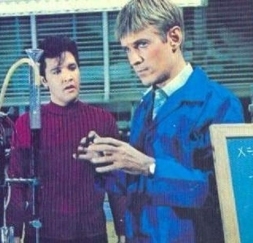 Here Elvis plays a bored Texas oil heir who switches places with a water-skiing instructor for some tuneful action. With Shelley Fabares, Bill Bixby and Will Hutchins. Elvis sings, “The Girl I Never Loved” “Who Needs Money” & more. Then ran away and joined the Circus for two years as a Clown and Ringmaster. For five years he worked for the Theatre Arts Program of Los Angeles, presenting free shows throughout the City. Africa was still in his blood, so he acted in Tippy Hedren’s flick, “Roar!” in the wilds of the San Fernando Valley with cast that included wild animals. Before the critics could clobber him Hutch skedaddled Down Under to Australia, where he traveled for four years with “Ashtons’s 163-Year-Old Circus” as “Patches the Clown.” On the way home he basked in the wonders of Singapore, Shi Lanka, and Majorca. Now, he’s safely married to a Gal named Babs (Barbara) and working at NBC. HOW MUCH OF AN ELVIS FAN WERE YOU BEFORE YOU CO-STARRED WITH ELVIS? Oh – I was a big Elvis fan! I had all of his recordings and played his stuff at my LA parties! WHAT WHEN THROUGH YOUR MIND WHEN YOU GOT THE NEWS THAT YOU WERE TO WORK WITH ELVIS? I’m worthy to work with this man and also I HAVE A JOB! 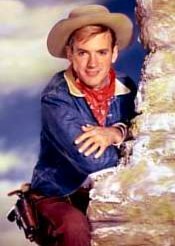 DID ELVIS KNOW YOUR TV WORK AS THE COWBOY SUGARFOOT? I’m happy to report that he was an big fan of little old “Sugarfoot.” I thought maybe he was just being nice but Elvis talked about the story lines and everything. He was an honest genuine guy! WHICH MOVIE WAS BETTER TO WORK ON WITH ELVIS, SPINOUT OR CLAMBAKE? Clambake was the best project that I worked on with the King. I played a bigger part and had more fun than any other movie project. Clambake was one BIG long party great party. And Spinout was a fun project but more structured. WHERE YOU EVER INVITED TO ELVIS HOME WHILE WORKING WITH HIM IN HOLLYWOOD? No:-( But my wife and I toured his home, Graceland after his passing. The world lost a great talent and wonderful person. WHERE AND WHAT WERE YOU DOING THE DAY YOU HEARD THE NEWS THAT ELVIS HAD DIED? I was in LA on the beach. What a sad day that was:( But we have his work to remember him by and I have the great memories of working with this wonderful and kind man.